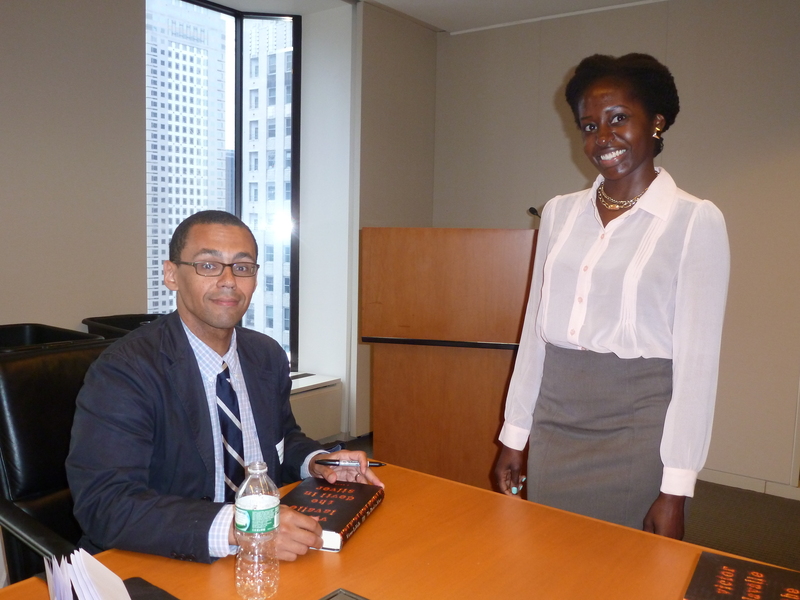 Yesterday, author Victor LaValle visited the interns at Weil, Gotshal & Manges LLP. Victor’s visit kicked off this summer’s Law Firm Reading Series, a program Behind the Book has coordinated for the past four summers. 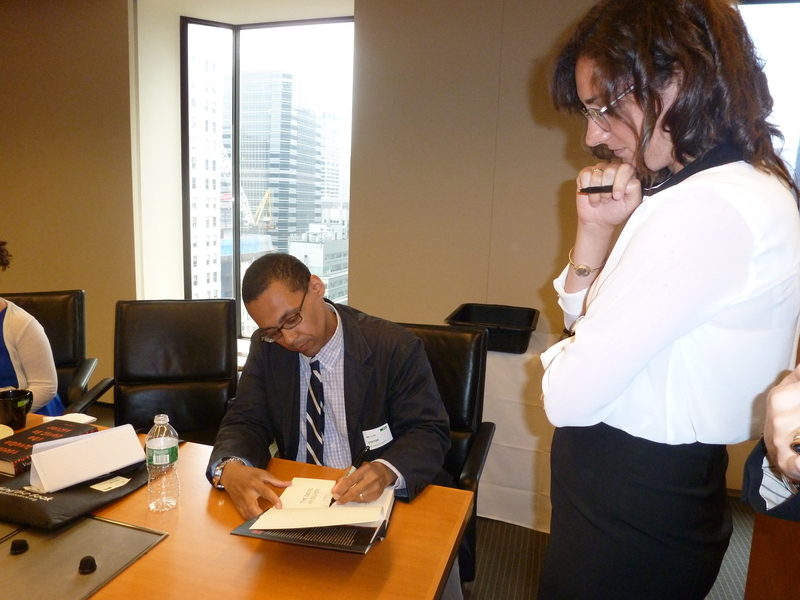 Our Law Firm Reading Series has offered several New York law firms a unique opportunity to engage their employees while supporting literacy in low-income New York City public schools. In the past, we have worked with such firms as Sullivan & Cromwell LLP and Kirkland & Ellis LLP, and brought in authors like Colson Whitehead, author of The Intuitionist; Joshua Ferris, author of The Unnamed; Jennifer Egan, author of Pulitzer Prize winner A Visit from the Goon Squad; Karen Russell, author of Pulitzer Prize finalist Swamplandia! ; Amy Waldman, author of The Submission; and Jim Shepard, author of Project X. This summer, we will also be working with Meg Wolitzer, author of The Interestings; Téa Obreht, author of The Tiger’s Wife; and Gretchen Rubin, author of The Happiness Project. The visit included a reading by the author, a question-and-answer session, and a chance for the law interns to get their books signed. Mr. LaValle read one of his short stories, and then took questions. The piece was of particular interest to his audience – the main character had avoided paying her student loans, and was finally made to pay them back. He provided answers to questions about writer’s block and the amount of discipline necessary in the writing process. Finally, Mr. LaValle signed their copies of his latest book, The Devil in Silver, and chatted with those who had more questions. 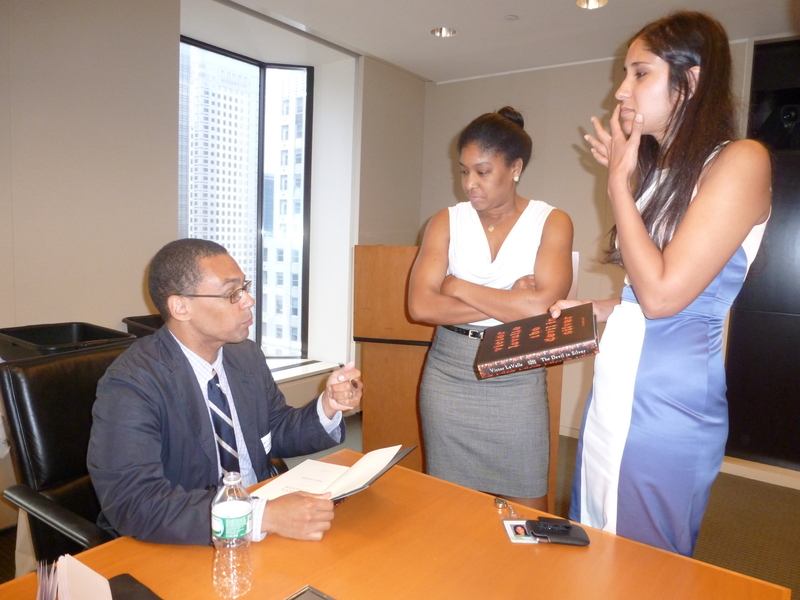 The Behind the Book Law Firm Reading Series is also a gateway for young professionals to learn more about getting involved with our Young Executive Board. The YEB is an opportunity for young professionals to support literacy, meet other like-minded professionals, and gain experience being on a board without having to make the same time or financial commitment as a regular board member would. If you are, or someone you know would be, interested in getting involved with our Young Executive Board, please contact Mica at micaela@behindthebook.org. If you are interested in hosting a reading at your place of employment, women’s group, parents’ group, or other group within your firm or corporation, please contact Jo at joumans@behindthebook.org.